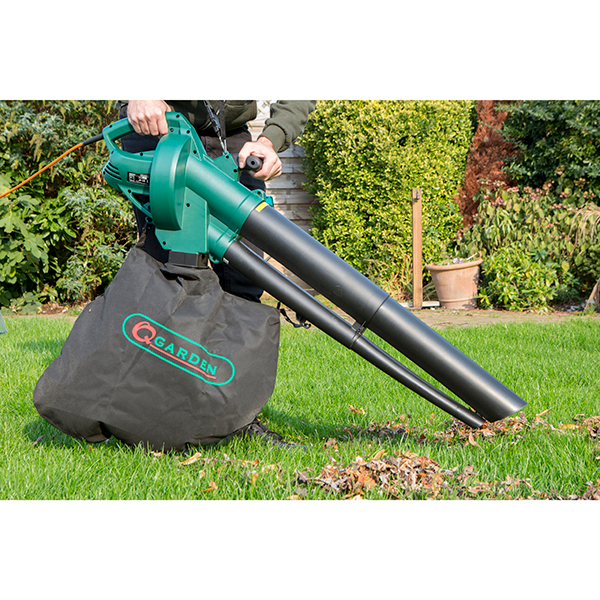 The Q Garden blow vac is a lightweight garden vac perfect for blowing away large areas of leaves and the suction of leaves. 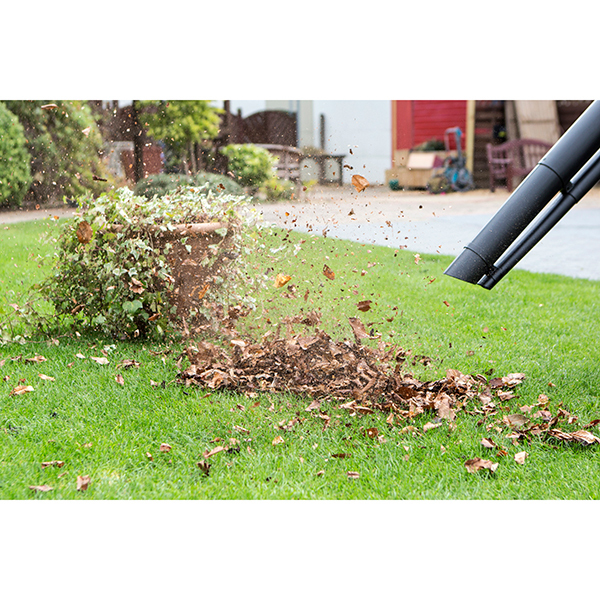 The machine shreds leaves 10 to 1: perfect for using as a mulch in your boarders or reducing the number of wheelie bin waste . 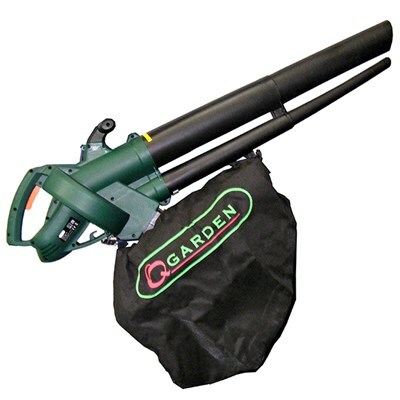 Includes carry strap for longer chore. 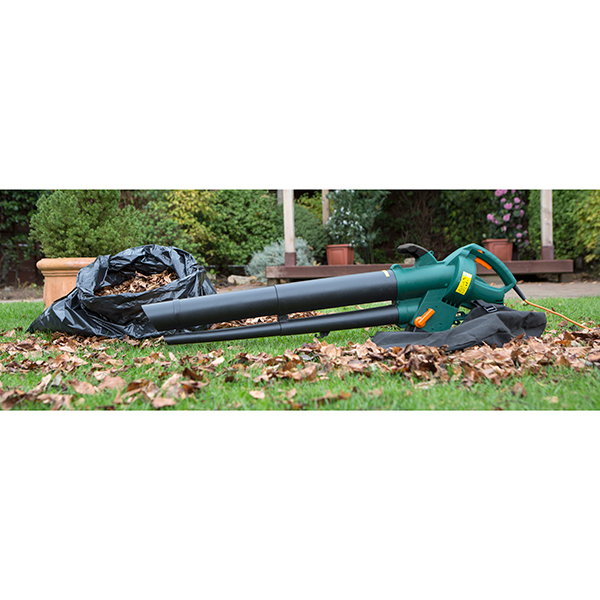 The Garden waste bag and gloves are ideal for emptying shredded leaves where you are working without having to make regular journeys to the garden waste bin. 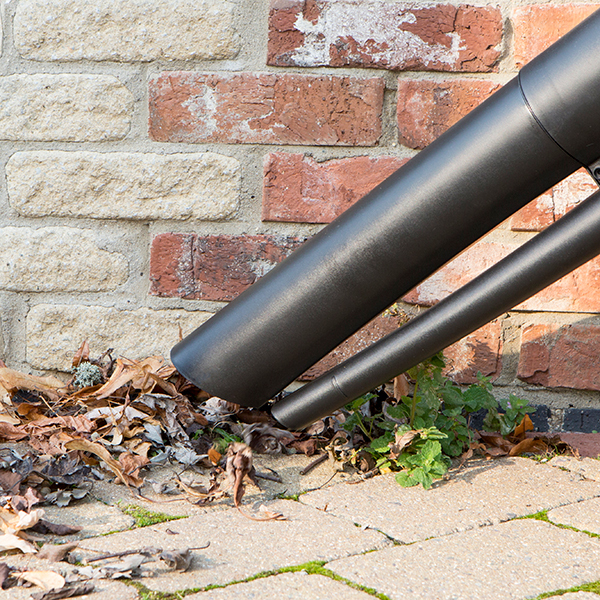 The 270 km per/h air speed makes clearing large areas quick and easy. No longer do you need to spend hour raking p leaves when the Q Garden Blow Vacuum can do all the back breaking work for you. 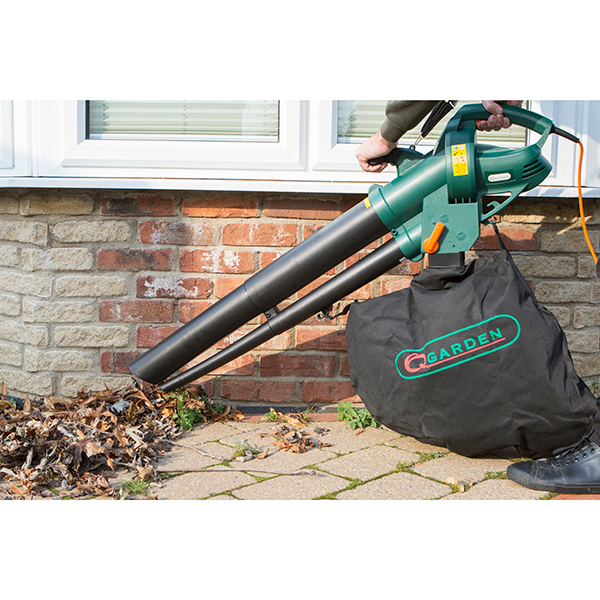 The device should never be used to vac, blow or shred heavy, sharp or flammable material such as metal, stones, branches, glass, barbecue coals, dust, gravel, soil or liquids.